Nitetronic is a company founded by German engineers, with a patent founded in November 2011. Hubertus von Janecek owned the patent and had the idea behind creating an interactive snoring pillow with a smart mobile app. 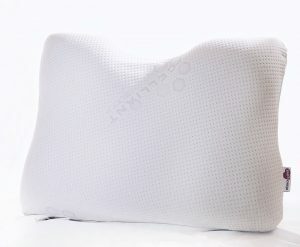 The first goodnite™ pillow sample was completed in December 2011. By May 2012 production had started on the pillow and sales began in June. The company started growing, and by March 2015 the pillow was launched in China. Soon After, in January 2016, a next generation pillow was announced. A nitelink2 app was also developed which works in tandem with the 2nd generation pillow and gives users the ability to manage their success in reducing snoring. The Nitetronic pillow is the only smart anti-snoring pillow with clinical sleep studies to back up results. The clinical sleep study was conducted in December 2014 in Mannheim, Germany with over 150 patients. The results were a roaring success for the Nitetronic anti-snoring pillow. With every single patient, a reduction in snoring occurred while using the Nitetronic pillow. None of the sleepers reported being disturbed by the inflation or deflation occurring with the pillow. All patients had no change in sleep time with the activated Nitetronic Pillow. Unfortunately, all sales are final with the Nitetronic Pillow. This is an unfriendly consumer policy, and we do not endorse this return policy. If the pillow does not work to reduce your snoring, you are not able to return for a refund. There is a one year warranty for defective parts on the pillow.